Barbara Long, Physical Therapist Assistant and Massage Therapist is an Expert Level Myofascial Release practitioner and is founder of both Myofascial Release of Central California and the beautiful Soothe Your Soul Healing Center and Day Spa. As a PTA in King’s and Fresno counties in California and in Sedona, Arizona since 1987, she has had vast patient care experience in a variety of traditional Physical Therapy settings from Inpatient hospital, Neurological Rehab, Home Health, and Private PT practices. 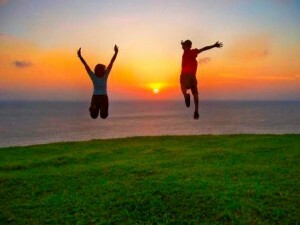 In 2003, Barbara decided to obtain a Massage Therapist certification in order to follow her passion for the holistic approach to healing: Myofascial Release. That year, she was invited to do per diem work at John Barnes’ Western Myofascial Release Treatment Center/ Therapy on the Rocks in Sedona, Arizona and began assisting John Barnes, PT nationally with Myofascial Release Seminars. 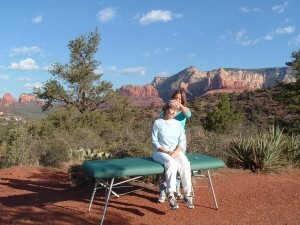 the healing touch of MFR and Sedona to Central California! “My clients always ask me how I got interested in Myofascial Release. My healing journey began in 1983 after a very traumatic MVA in which I sustained punctured lungs, bilateral femur fractures, hip, pelvic, and rib fractures. I literally ‘woke up’ from a 12 day coma and ‘knew’ that I wanted to become a physical therapist! Following the multiple fractures and surgeries affecting my leg, hip, and pelvis, my body healed and I was very blessed with a very functional recovery. I did experience many post traumatic stress complaints and physical symptoms of persistent pain and tightness that progressively increased over time .